In India, one of the most difficult situation that students face is about the choice regarding college like which college is better, where to take admission, does the fee structure will be affordable or not etc. The decision to choose better college based on their aspiration is not an easy task. There are times when wrong decision had been made by students because of lack of proper information. In this article I would like to share one website which I came across recently and found it worth to be visited for all those aspiring students who are in the dilemma because of lack of proper information. The website is Collegedunia. Every aspiring student wants to get all the necessary information before taking admission in college. So he starts searching and collecting information and proceeds accordingly. But what if you get all the necessary information about colleges at one place? Yes, Collegedunia does that for you. This website contains information of around 15,000 colleges of our country. First I would like to share brief history and objective behind this website. “We go at great lengths to get our users the most detailed information which differentiates us from our competitors. One of the biggest learning I had from all this was that ventures fail but people who persist don’t,” says Sahil. Apart from these you can also look at different courses like B.Com, B.tech. Msc. Phd, M.Phil and many more to get information regarding colleges. Not only this they have made available the information brochure of almost all the colleges. One can download that and can get the desired information. This serves as a great help for many students who face this difficulty in order to get the information. One can also get the list of colleges present in a particular state and city and courses offered by them. It is a place where you have so many options to know about your college and decide accordingly. Currently this website contains information close to 15,000 colleges across the country. Collegedunia recently launched an exam feature where they notify aspirants about entrance exams deadlines, provide free sample papers, tips, counselling and result advice. 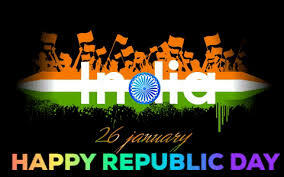 Collegedunia is India’s most extensive listing portal – catering help to thousands of students. 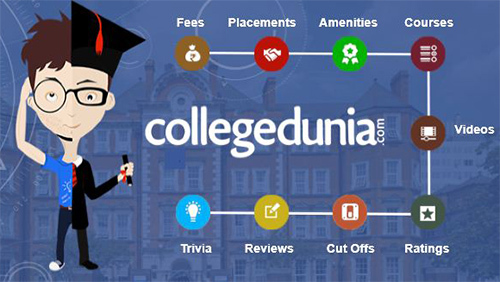 Collegedunia is going to launch an app soon in order to make things easily available to the students. This will serve as a great boon too for many aspiring students. This is a good initiative taken by Collegedunia to create a platform which will help thousands of students across the country. This is a complete package where you can get all the important information at one place and this is the thing which differentiates them. I would like to share few of the links which will be helpful in for you to gather information. Do have a look at them. This website is surely going to serve the necessary requirement of having a single platform rather than to have individual one which is beneficial for thousands of students of our country. The overall team of Collegedunia is increasing. It has increased from 5 to 50. Their office is situated in Prashant Vihar, New Delhi. Their target is to make available information of around 30,000 colleges by the end of this year. The company had announced a fund raise of INR 1 Crore form gaadi.com CEO Umang Kumar. The journey is good and steady and hope the journey continues. I would like to appeal to all my readers to share this information regarding Collegedunia to their friends, relatives etc, so that they can benefit from this website and get the desired information. The information provided by this website and the most important thing is, that too in one place is the reason which compelled me to write this article and share among you. I started collecting the information and here I am with this article so that those who are not aware of this can get to know and could benefit from this site.